Chief Executive John Flint, rounding off his first year at the helm of the company, said the bank may have to scale back investment plans in order to avoid missing a key target known as 'positive jaws' - which tracks whether it is growing revenues faster than costs - for a second straight year. 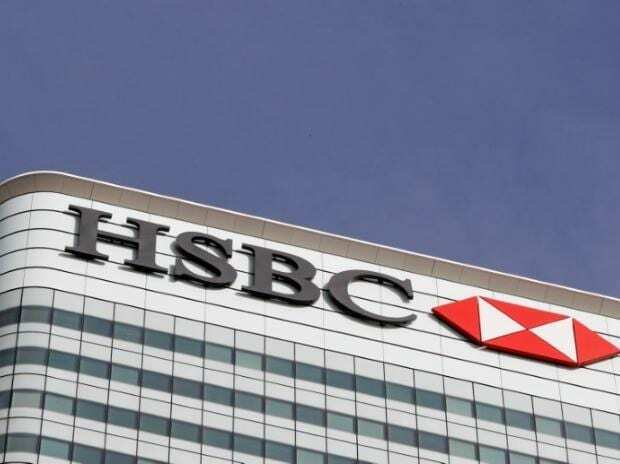 HSBC remains alert to the downside risks of the current economic environment, global trade tensions and the future path of interest rates, Flint said, adding the bank was "committed" to the growth targets announced in June. "We will be proactive in managing costs and investment to meet the risks to revenue growth where necessary, but we will not take short-term decisions that harm the long-term interests of the business," Flint said on Tuesday, after HSBC reported a lower-than-expected 16 percent rise in 2018 profit before tax. "The key thing is just to moderate the pace of investments ... not to cancel it or change the shape of the investments," Flint told Reuters. A combination of U.S.-China trade tensions, central banks turning off the money taps and cooling growth in former hot spots wiped 10 percent off MSCI's 47-country world stocks index last year, its first double-digit loss in any year since the 2008 global financial crisis. Flint's comments come as an economic slowdown in China, exacerbated by a bitter Sino-U.S. trade war, challenges HSBC's strategy of pouring more resources into Asia where it already makes more than three quarters of its profits. China's economic growth slowed to 6.6 percent in 2018, the weakest in 28 years, weighed down by rising borrowing costs and a clampdown on riskier lending that starved smaller, private companies of capital and stifled investment. Pressure on the world's second-largest economy could increase if Beijing and Washington do not reach a deal soon to end their year-long trade dispute, which is taking a growing toll on export-reliant economies from Asia to Europe. HSBC's profits in Asia grew by 16 percent to $17.8 billion last year, accounting for 89 percent of the group profit. "Clearly our customers are really more cautious and are more thoughtful around this trade war with the U.S.," Flint said. "It's possible that we'll see slightly lower growth rate this year but we are still going to see a growth rate." Since taking over from Stuart Gulliver last February, Flint has largely stuck to the same China-focused strategy as his predecessor while attempting to revive HSBC's ailing U.S. franchise and putting less emphasis on its investment bank. Europe's biggest bank by market value is also being buffeted by headwinds from Britain, which grew at its slowest in half a year in the three months to November as factories suffered from tough global trade conditions and the approach of Brexit. "The longer we have the uncertainty the worse it's going to be for the customers. Customers are absolutely postponing investment decisions ... and that's been the part of this slowdown that we have seen in the U.K.," Flint said. HSBC's Hong Kong shares dropped as much as 2.7 percent after the earnings announcement. HSBC said it would pay a full-year dividend of $0.51 per share, roughly in line with analysts' expectations. The bank was confident of maintaining the dividend at this level, it said. The bank's core capital ratio, a key measure of financial strength, fell to 14 percent at end-December from 14.5 percent at end-2017, mainly due to adverse foreign exchange movements.